What kind of success/struggles have you seen? I struggle to increase bone density. I have osteoporosis. 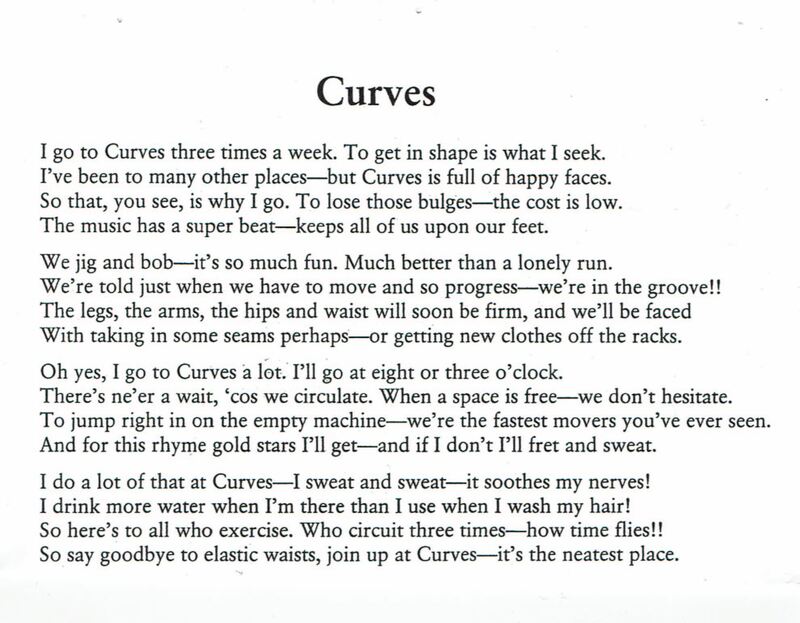 Why do you love Curves? Exercising with others is more stimulating than being alone; at home or in a big gym. The coaches are very helpful and friendly, as are the members. Also the mix of exercise in the circuit helps to work the whole body. I was pleased with my latest bone scan (Feb. 10) results. My bone density in the spine has increased! I am not taking any medications, but calcium, Vitamin D and exercise at Curves. The first day I did not think I could ever keep it up, but nearly four years later I’m enjoying it. The atmosphere of the place and friendly instructors that show you how to use the machines and make sure you are doing it right, everyone is so good. I never thought at my age I would enjoy exercising like this. My doctor, after I had a treadmill test, said I needed to exercise and recommended Curves Oak Bay. As I was 81 years old at the time, I hesitated thinking only young people would go there. I really wondered if I would like it. After just the first day, which I enjoyed, even though I could not pull the machines that used my arms. Now, I can move them to and fro, my blood pressure has come down. I have lost a few pounds and inches as well.